April: "Question after months of reading": What will happen to children at rapture time? Power of Oklahoma Tornado Dwarfs Hiroshima Bomb! US Pressures Israel. Hmmmm! RED ALERT! Youtuber Scotty Walker Arrested for Exposing Sandy Hook Truth! White House Gone Wild: Where Are You America? President Obama Gets a "180"!!! Police State! DHS Installing Infrared Sensors Along Entire United States Border! More Severe Weather Expected After Monster Tornado. Pray For The Victims. "If so be ye have tasted that the Lord is gracious." Are the Saints in the Tribulation? Syria Ready To Fire Missiles At Tel Aviv Israel. Powerful Blast Rattles Damascus! WHEN IS THE "FEAST OF TABERNACLES" according to the Bible? What is the "VALLEY OF THE DRY BONES" all about?? Massive Earthquake Swarm in Russia, Volcanoes Awaken on Northern Ring of Fire ! 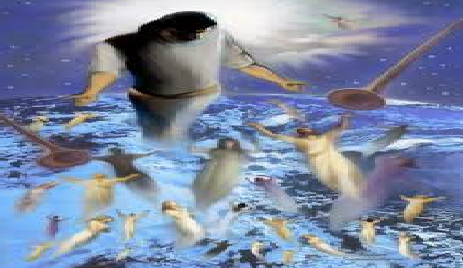 David Daughtrey: "Rapture vision of 1996"
Who will be LEFT BEHIND when God's plan continues? Alert ! Obama to Sign UN Arms Treaty as Soon as June 3rd ! "I have seen servants upon horses, and princes walking as servants upon the earth." Pentecost 2013: Will There Be A Leavened Bread Resurrection? Russia Warns Israel Not To Attack Syria Again! Is Ezekiel 38 & 39 About To Take Place? East Coast Meteor, Uptick in Earthquakes, The Sun, CMEs & Geomagnetic Storm Activity !